The purpose of using a to-do list app is to help you be more productive by organizing the tasks you have to get done. Thus, the tool you use have to be easy to use. As a to-do list app, Wunderlist has fulfilled this prerequisite. Wunderlist is probably the most popular to-do list app around today, created by an amazing team. Wunderlist comes with a simple yet beautiful interface. Most importantly, it’s extremely easy to use. The simplicity of Wunderlist is precisely becomes its strength. Anyone who are new to a to-do list app will meet no serious problems in using the tool. Is Wunderlist really that good? If Wunderlist isn’t good enough, it’s impossible Microsoft would have bought the tool. The question is, how good is Wunderlist? Let’s find out. Many people love using Wunderlist to organize their tasks list since it has a simple yet beautiful interface. Also, it’s extremely easy to use. Even so, Wunderlist didn’t sacrifice the features. Regardless of its simple interface, the tool has rich enough features. As a to-do list app, what Wunderlist offers are complete enough. It has a feature to organize tasks list as well as teamwork capability. Same as the vast majority of the similar apps like Todoist and Remember the Milk, you can also add several attributes to each task you create. For instance, to ensure you get a task done on time you can set the a reminder or due-date. Each task can also has sub-tasks. If you want to assign certain tasks to your team members, you can attach supporting files which you can upload from your computer or import from Dropbox. In addition, you can also add note as well as audio. Unlike its two competitors, Todoist and Remember the Milk, Wunderlist doesn’t support task priority which is basically useful enough to help your tasks list be more organized. Some users love the idea of task priority, especially if they are able to use different colors on each priority, like offered by Todoist. Wunderlist offers two features to enable you organizing your tasks list. They are list and folder. 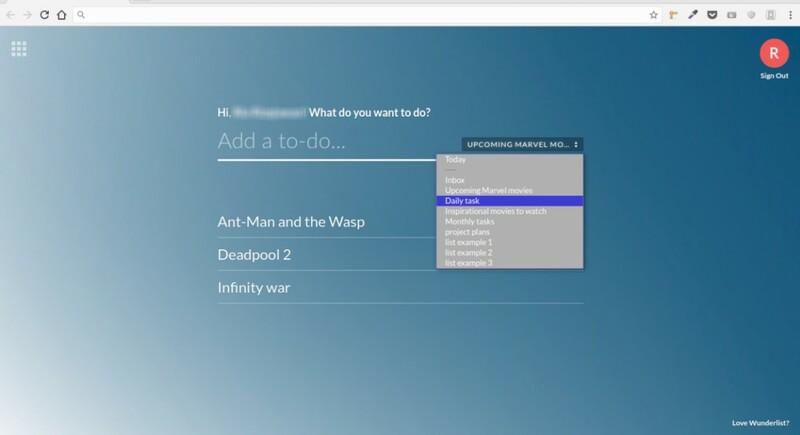 You can use list to put together tasks with the same topic, while folder can be used to manage the lists you have. To create folder, you can drag certain list and drop it to another (pile up). Folder itself is a new feature. The feature seems an affirmation that Wunderlist isn’t abandoned by its creator despite the creation of a new project, Microsoft To-Do. To makes it easy for you to organize your tasks, Wunderlist also provides apps for a wide range of platforms. 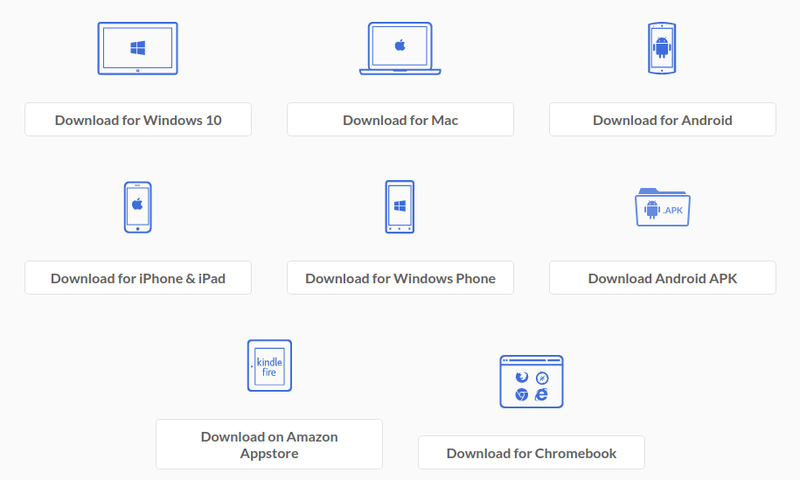 There are at least five platforms that are supported by Wunderlist: Windows, macOS, Android, iOS and Kindle. Linux is still be ignored by Wunderlist. Fortunately, Wunderlist is also available on the web so Linux users keep be able to use it via web browser. In addition, Wunderlist is also available as a browser extension for Chrome and Safari. By the time the article is written, Wunderlist hasn’t provided an app for wearable gadgets like Apple Watch and Wear OS-based wearable gadgets. As a comparison, Todoist already provided an app for Apple Watch and Wear OS, respectively. The way Wunderlist works is different to tools like Asana and Trello, although you can also make use of it as a task management tool just like both tools. However, Wunderlist can also be used as a collaboration tool. You can share certain lists with your team members and assign certain tasks inside the lists you have shared with. But keep in mind that there is no position level rule here, like manager and subordinates. This means that all members you have shared the lists with have the same role. They will be able to assign certain tasks to anyone, including you. The comment feature offered by Wunderlist is useful enough to reinforce your collaborative work. Wunderlist itself also offers a Business package which you can use as a centralized communication hub. Unfortunately, there are some issues regarding the list sharing process. When I tried to invite someone via email address, the invitation was not sent. The case happened several times when I tried to invite different persons. Wunderlist is a productivity app so it is make sense that the tool supports integrations in order to enable you getting the most out of the productivity tools you use. 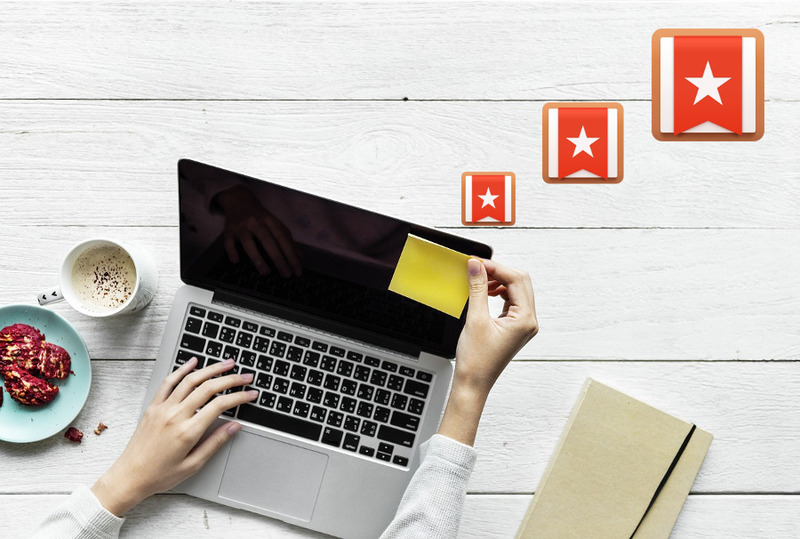 The official integrations offered by Wunderlist might limited enough, but the team of Wunderlist have selected the best apps to be integrated with. GitHub, Slack and Twitter are the examples of apps that have a Wunderlist integrations. One of the Wunderlist integrations I found useful is Wunderlist New Tab, which brings the Wunderlist tasks list to new tab in browser, complete with the background that became Wunderlist’s identity. App developers who don’t find their apps supported by Wunderlist by default can build their own app since Wunderlist also provides API for developers. Momentum Dash is a great example of how Wunderlist supposed to be integrated. While the free version of Wunderlist has given great enough experiences in organizing tasks, you will get even better experience by going to the premium version. The premium version of Wunderlist allows you to attach file of any size, access premium backgrounds, add unlimited sub-tasks and so on. The answer can be vary depends on which part you see it. The monthly-based subscription might is suited if you are the sort of person who often jump from an app to another one. As a comparison, the premium version of Todoist costs $2.5 per month, but it doesn’t offer monthly subscription. Wunderlist is a great to-do list app, loved by many people. It has a simple yet beautiful interface which the background you can customize. As a to-do list app, the features offered by Wunderlist are complete enough although there are some features that might can be added in the next update, like task priority. The only problem about Wunderlist is probably the rumors stating that the service will be no longer maintained since the team is developing another project called Microsoft To-Do. In case you didn’t know, Wunderlist is now owned by Microsoft.